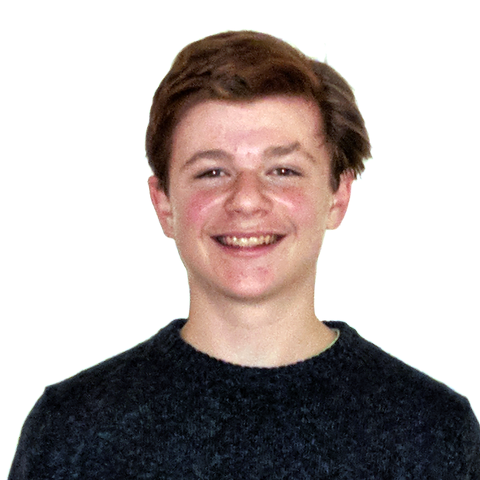 A State College Area High School sophomore recently was named a regional winner of a statewide election mapping competition. Kyle Hynes took first place in the Central Region youth division for his 18-district congressional map in the first Draw the Lines PA competition. He won $500 for his effort, which also included an essay on how he came up with the map, and now has a chance to become the statewide youth champion. Twenty students and voters were honored by region in youth, higher education and adult categories. Statewide champions will be announced Wednesday in Harrisburg with each first-place winner receiving and runners-up receiving $2,000. Draw the Lines PA was launched in the fall by the Committee of 70, a Philadelphia-based non-partisan nonprofit that advocates for good government. Maps were drawn on DistrictBuilder, a free digital mapping tool, and entries were scored on metrics such as equal population, number of competitive districts, compactness and limiting county splits. A panel of judges evaluated the 318 entries submitted for the competition. “Draw the Lines’ goal has been to help Pennsylvanians see how the plague of gerrymandering connects to the issues they care about most, and to embrace the vital role they can play in the solution,” David Thornburgh, Committee of 70 president and CEO, said in a news release. Thornburgh also chairs Gov. Tom Wolf's special commission on redistricting reform. In addition to Hynes, a team of Penn State students and geography professor Christopher Fowler took second place in the Central Region higher education category. In their statement on Hynes' entry, judges' praised the fairness and competitiveness of the districts he drew. "It is astounding that Kyle, a Centre County high school student working independently, was able to create 14 competitive legislative districts, get a high compactness score - and the districts look so reasonable! In his excellent, thorough essay for the winning map, Kyle described how he tested his map under different election scenarios and paid attention to the Voting Rights Act. "We were so impressed with how Kyle dealt with the party and racial concentrations in Pittsburgh and Philadelphia by what he called 'spoking,' having districts radiate out from the cities. All in all, a remarkable effort, particularly given that Kyle created his maps on his own initiative, not as part of a school or club project." Hynes explained in his personal statement how he sought to give more people a say in who is elected to Congress from Pennsylvania. "In this map, I kept communities of interest together whenever possible, but competitiveness was the top priority," he wrote. Fourteen districts are competitive, which gives the most Pennsylvanians a say in their delegation to Congress. It will also be heavily responsive to shifts in the electoral climate. In an eight point Democratic wave, like 2018, they could win up to 17 seats. In an eight point Republican wave, like 2010, they could win up to 15. It gives more people more of a say in elected officials, and it will make 78 percent of our members of Congress truly fight for their seats. "This was accomplished by spoking Pittsburgh and Philadelphia and connecting Democratic areas within rural central Pennsylvania to make competitive district. It complies with the Voting Rights Act, with two majority-minority districts." According to Draw the Lines PA, the competition was the biggest of its kind in the nation's history. State College Area High School sophomore Kyle Hynes.